Moving to a bigger and more comfortable house is a reasonable decision if you are about to become a parent. Upgrading your living space is an expected step when you are expecting. Future parents usually want to prepare a safe and comfortable environment for their child. Although moving to a new, bigger and prettier house has a lot of positive aspects, future parents are usually not sure whether it is completely safe to move house while pregnant. A household move has proven to be very daunting and stressful under normal circumstances. 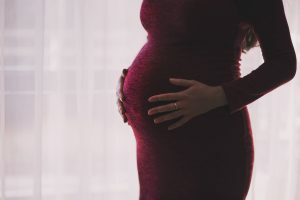 Parents-to-be don’t want to put at risk well-being of their unborn child and they want to take all necessary steps to keep the baby safe during the relocation process. Moving while pregnant doesn’t have to be stressful at all if you know how to manage it. – Make safety your top priority. – Take your time to arrange your move carefully. Remember, rush decisions may cause a lot of additional stress, so plan the move well in advance if you have that possibility. – Don’t forget your daily routine since it affects the baby. Get enough sleep, have regular and healthy meals, keep stress at bay. – Have all utilities set up before the moving day. If you are moving in winter, make sure the heating system is on. – Make sure you have enough time to get used to the new environment before giving birth. Take your time to get to know your new city/neighborhood, local hospitals, nurseries, doctors, shopping malls,…Socialize with new moms in the neighborhood. They can be really supportive during your hard times. – Find a trustworthy doctor in your new area. Maybe your current doctor will be able to help you out by giving you some references. Have your medical records transferred to the new hospital before the moving day. Keep all medications and prescriptions on hand during the moving day. Although it’s more convenient to move early in your pregnancy, try to avoid peak season moving dates and extreme summer heath. Moving during weekends or national holidays can be exhausting and nerve-wracking as well. – Pack baby’s belongings separately. – Pack your personal essentials bag for the next couple of days. – Label each box carefully so that you can find whatever you need within a couple of moments. – Avoid heavy lifting and too much bending. Leave it to your significant other. The most reasonable option would be to hire professional movers who will do all laborious tasks in no time and move your items smoothly. By getting several quotes it will occur to you which moving company is most suitable for you. Take your time to research your prospective moving company and check whether it is insured and legitimate. – Take frequent breaks during the moving day, don’t skip your meals and stay hydrated all along. – Avoid junk food while on the road. Although you are prevented from cooking and have to eat out, try to pick healthy and nutritious meals. – Get some help. Even if you are not doing heavy lifting, planning and organizing the move can be very stressful and tiring, so take a moment to get some rest and relax. Ask friends and family for help. – Consider hiring professional cleaning services for both homes. Leave your current home in a good condition for the next tenants and make sure your new home is ready for you to move in. – Don’t rush with unpacking. As long as your boxes are properly labeled, you can give yourself enough time to unpack and arrange your goods. What to do the night before the move?